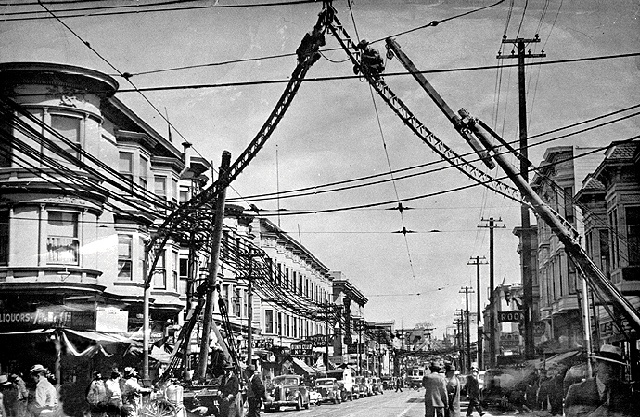 Fillmore Street at Sutter looking north, 1921. At left is a battery-powered delivery truck and behind it is a Model T Ford jitney, a competitor to the United Railroads service. 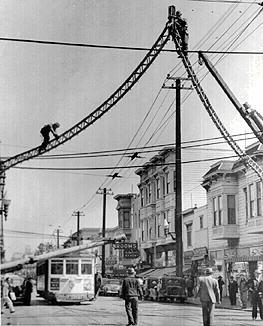 In 1943, the iron towers that had crowned each intersection of Fillmore Street for decades, originally built as a gateway to the 1915 Panama Pacific International Exposition at the Marina, were torn down as scrap metal for WWII. The arches graced the nameplate of the Fillmore District News in 1919. 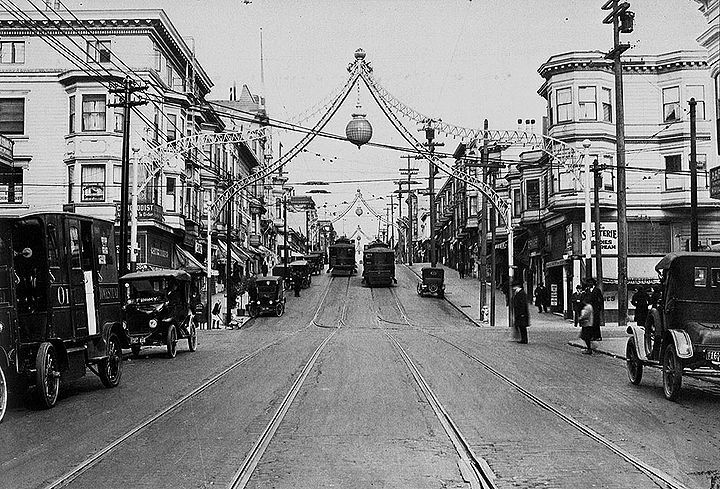 Image: courtesy of The New Fillmore newspaper archives. Arches from the PPIE on Fillmore being torn down in 1943.